Blanche Lincoln (born as Blanche Meyers Lambert Lincoln in Helena, Arkansas) is a famous Politician from USA, she is 58 years old and still alive, born September 30, 1960. Blanche Lambert Lincoln is an American Democratic politician. 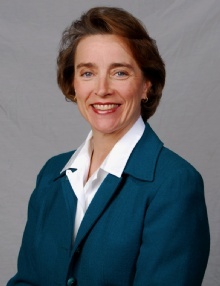 She is a member of the U.S. Senate from Arkansas since 1999. She was a member of the U.S. House of Representatives 1993-1997. Blanche Lambert graduated in 1982 at Randolph-Macon Women's College (now Randolph College) in Lynchburg, Virginia. She is the sister of film director Mary Lambert. She was staff to Congressman Bill Alexander 1982-1984. She defeated Alexander in the Democratic primary for the 1992 Congressional elections. She married Steve Lincoln after being appointed as a member of the House of Representatives. She did not make up for reelection in Congress the 1996 elections. At that time she was pregnant. Senator Dale Bumpers did not make up for reelection in the 1998 Congressional elections. Lincoln received 55% of the votes in the Senate election against 42% for Republican Fay Boozman. Lincoln was reelected in 2004 with 56% of the vote against 44% for Republican Jim Holt. She lost her Senate spot for the state of Arkansas to the Republican challenger John Boozman in the mid-term elections of November 2010. She is born under the zodiac libra, who is known for Balance, Justice, Truth, Beauty, Perfection. Our collection contains 19 quotes who is written / told by Blanche. "Many Americans are unaware that we still have a large population of working families, elderly, and children who rely on emergency food pantries, shelters, and other resources to meet their nutritional needs"
"It certainly makes no sense to enact more laws if we cannot, or do not, enforce the ones we have"
"Spending and tax cut decisions must be both fiscally responsible and fair to our working families. I believe that fiscal responsibility is the way to create prosperity for America and secure the retirement of America's seniors"
"Right and wrong becomes more difficult for each of us as we grow older, because the older we get the more we know personally about our own human frailties"
"Improving our national intelligence capabilities should remain a top priority and a continual process"
"A common misconception is that the costs of health care are cheaper in rural America, when in fact the reality is that they are more expensive and more difficult to access"
"We still have tremendous work ahead of us to ensure that women have equal opportunities in the workplace and in our society"
"My heart has been heavy and I have deliberated within my own conscience, knowing that my decision should not come out of my initial emotion of anger toward the President for such reckless behavior, but should be based on the facts"
"It's not my job to dream your dreams. It's my job to make your dreams become a reality"
"I believe that the fight against crime starts in the home. Parents must take responsibility for their children and show them love and guidance from an early age so they learn to respect the rights of others"
"Voters must have faith in the electoral process for our democracy to succeed"
"Unless we make education a priority, an entire generation of Americans could miss out on the American dream"
"Now, I do come from a part of the country where the people say that the only thing in the middle of the road is a yellow line or roadkill"
"At a time when U.S. jobs are heading overseas at a record pace, and amidst increased sanctions on our manufacturers and producers from other countries, it's imperative that we do all we can to provide our businesses a climate to operate successfully"
"Whether it's making sure that families have access to quality health care and child care, or making sure that our children receive the best educational opportunities we can give them, we must remain committed to these needs because our children are our future"
"In Arkansas alone, approximately three quarters of a million people are at risk of going hungry, and one in four children does not get enough to eat, so my goal is to bring awareness to this tragic issue"
"Stopping crime before it occurs is the most effective crime fighting tool of all"
"If we invest in the American people, the American people always bring this Nation a good return"
"I am not normally a betting person, but I say that putting your money on the American people is about as close to a sure bet as you are going to get"